For three decades I have been calling for an international ban on high-seas fishing. Now finally, reputable ocean scientists are calling for just such a ban. There are simply not enough fish in the sea to continue supplying an ever-increasing human population or our domestic animals like cats, salmon, pigs, fur-bearing animals and chickens who consume some 40 percent of the fish taken from the sea. All heavy-gear fishing must be banned. All super trawlers, trawlers, gill netters, long liners, drift netters and industrialized fishing operations must be banned. All plastic gear i.e. nets, lines and traps should be banned. 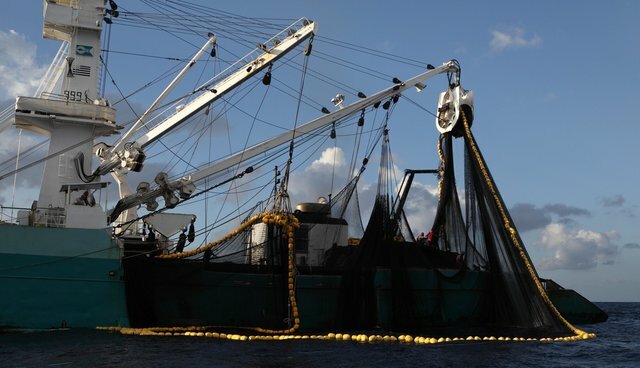 Foreign fishing trawlers need to be banned from fishing within the territorial waters of other countries. Illegal fishing vessels must be seized and destroyed. All subsidies by governments to fishing corporations must be ended. All domestic salmon farming and other forms of destructive aquaculture practices must be banned. If fishing is restricted to artisanal fishing by small communities there may be hope for oceanic eco-systems. If not, the oceans will be dead zones by 2048. No fish for anyone, anywhere. No fish for orcas or dolphins. No fish for seals. No fish for the species that depend upon them for their survival. When the fish die, the ocean dies – and when the ocean dies, we die! That is the reality that we face this century and the choices must be made now. Action must be taken now.